The Little Builders inflatable play structure is designed to entertain toddlers safely in an adorable construction setting. 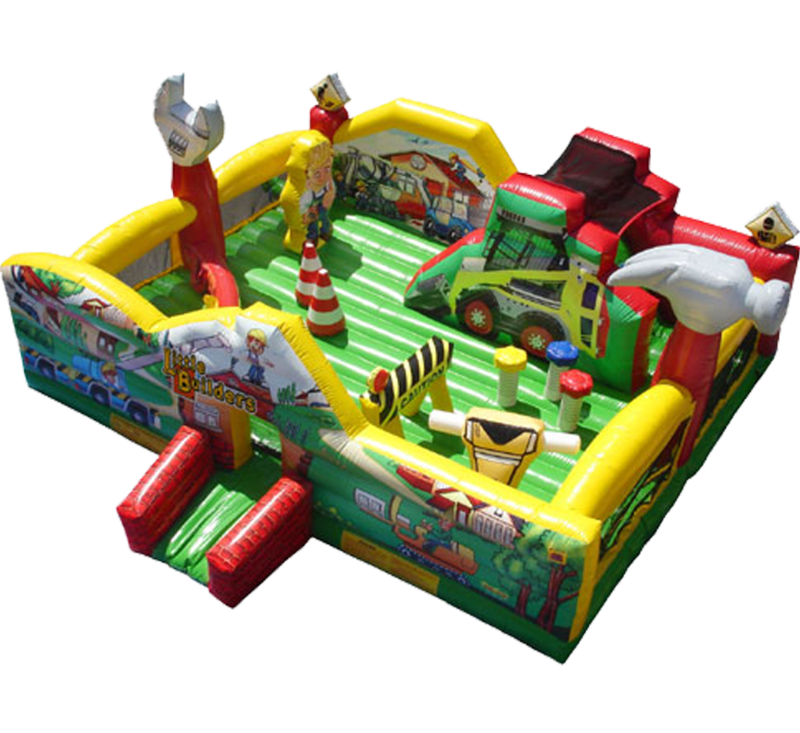 This inflatable offers a small climb and slide and several 3D construction elements and structures, such as bolts, traffic cones, caution barriers, jackhammer and a giant wrench! 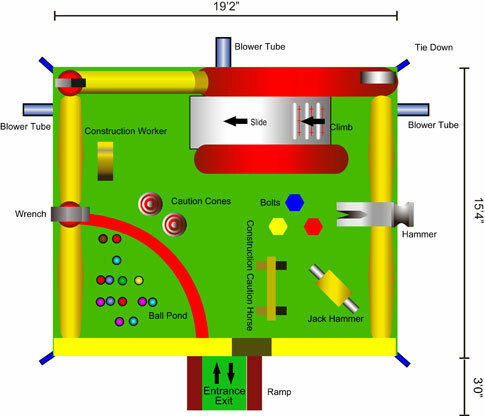 A ball pond is included in this inflatable, where kids can learn colors with plastic balls and coordinating baskets for collecting. This amazing toddler bounce house guarantees hours of entertainment for any toddler, and offers low sides for easy viewing of all the fun. Made of lite n strong™ and fire-resistant vinyl, this inflatable is perfect for any indoor playground or backyard birthday party. WARNING: This is an open top unit which if exposed to direct sunlight can become hot to the touch. If renting during hot months, we recommend shaded areas for setup, or indoors. Cooler months are not an issue.